Jackpot sit and go’s (SNGs) are an awesome poker game – they pay out prizes like the lottery for winning a skill game! The iPoker network has paid out millions in prizes ranging from €2k-€35k! Small to mid-stakes players are claiming these prizes each and every week, the huge prizes on offer are a massive pull on recreational players, so armed with a little strategy knowledge you will find these games very profitable indeed. Jackpot Sit N Goes – Are They Worth It? As we all know – nothing in life is free. The prizes for the jackpots are paid for by you – the player. A standard SNG has 10% rake, a jackpot SNG has more rake and the rake goes directly into the jackpot. The fact there is a jackpot on offer means recreational players make up a lot of the player pool, so the increased fees will be recouped by larger profits in the game. There are five types of jackpot games on the iPoker network. Four of them have been around for a long time and are well established on all the iPoker skins. The Twister games are new and very exciting. All of the five are outlined below. The dirty dozen is the smallest buy in game available and is actually a two table SNG. Each SNG starts with two 6 handed tables, so 12 players altogether. The buy in is €2 (€1.64 buy in and €0.34 in rake and jackpot contribution). All you have to do is win four of these in a row to claim the €2k prize. There is also a standard pay-out structure in place, paying the top four places. Note: The Dirty Dozen games have now been replaced with 'Twister Sit N Goes'. This is the newest way of winning a jackpot - these 3 handed games offer between 2x and 1000x your buy-in as prizes. You'll info on these lower down this page.Check out this article for more general information on the lottery Sit n Goes format. The Maui jackpot SNG is next up. This is a single table tournament with 10 players and a €5 entry (€4.20 and €0.80 split). Win five of these in a row to rake in a massive €10k jackpot. An added bonus with the Maui jackpot is that it’s progressive. The jackpot gets bigger and bigger every week it runs without a winner! Three places are paid in The Maui and if you finish second five in a row you will be awarded a consolation prize of €150. Similar to The Dirty Dozen The Rio is a 6 handed SNG, but this time only a one table tournament. 6 players stump up €20 (€17.10 and €2.90 split). Win six of these in a row and claim an enormous €20k prize, which is progressive, increasing week on week until won. A consolation prize of €200 is available for six top 2 finishes. The Rio pays 3 spots, a 3rd place finish will get you a little more than your money back – a great format that isn’t harsh on your poker bankroll. Fort Knox is the largest buy in for the jackpot SNGs, which is still a quite reasonable €40 (€34 and €6 split). These play the same as The Rio in terms of 3 spots paid. There is a consolation prize of €550 for finishing in the top two six times in a row and winning six in a row will net you the colossal €35k prize, which is progressive – no ceiling on this – just increases each and every week until claimed. Twister SNGs are the new jackpot games that run alongside the regular games outlined above. These games are great for new players. They are super-fast, great fun and give you a shot at winning up to 1,000 times your buy in up to $10k. 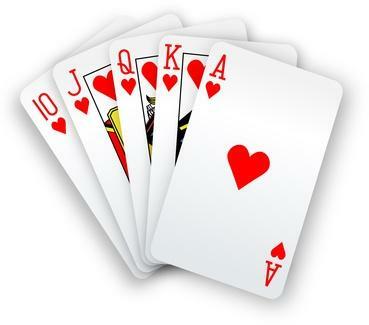 These games are played 3 handed and each player begins with only 500 chips – blinds increase every 2 minutes – there really is no time for patience here. Buy ins currently available in the Twister format are $1, $2, $5 and $10. 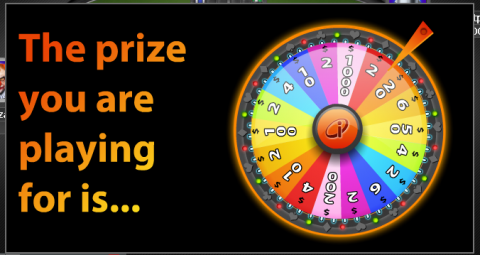 Once you have selected your buy in level you get to see a ‘wheel of fortune’, which determines the prize you are playing for. A $1 game can result in a $1,000 prize – these games can give a huge boost to any bankroll. You can play up to 6 games at a time and the average time is 10 minutes meaning you can really ‘grind’ this format if you wish. The Jackpot SNGs on iPoker are awesome! They attract a bunch of recreational players, which vastly compensates for the extra fees involved. Plus the chance of huge prizes up for grabs mean they are a must play for any online poker fan. High Tech Gambling readers can claim $20 extra cash free by registering with bonus code PBCLUB - this will be paid directly to your player account within 48 hours (usually sooner). Check out those twisters at www.titanpoker.com now!